International Place | SIGNET Electronic Systems, Inc.
International Place is known throughout New England as a prestigious location for Class A businesses. Boasting 1.8 million square feet of total office, retail space, and prominent restaurants. 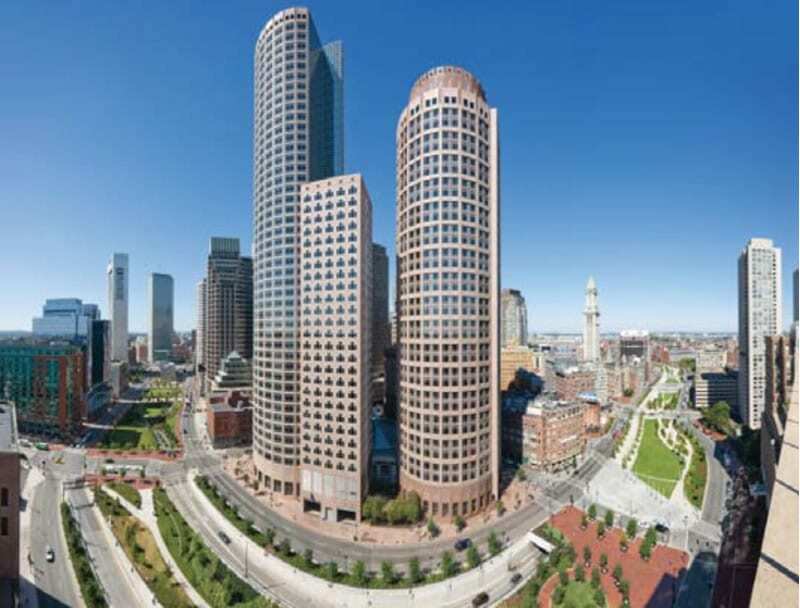 Chiofaro Management, one of New England’s most influential developers and operators of first class commercial space, contacted SIGNET when International Place needed a plan for the replacement of their aging Autocall fire alarm system, in the occupied 46-story high-rise building. The plan needed to balance the concerns of the local fire department during the transition which meant the building would have 100% system coverage at all times, while minimizing any disturbance to the building tenants. The project also needed to bring new technology to the building by converting from a conventional to an addressable system without excessive cost and project duration. SIGNET provided a solution that recycled the majority of the existing fire alarm system’s wiring infrastructure, which consisted of the initiating device wiring on each of the floors. This allowed the devices to be replaced quickly and effectively with little disturbance to the tenants. Implementation began with the installation of the backbone for the new addressable system. Next, a cross-connect was created to establish communications between the old and new systems. This allowed for a seamless transition as the new system took over the functionality of the old system. SIGNET’s approach to this complex project included replacement from the top down. As a result of an extensive pre-execution plan, SIGNET was able to deliver the new system to the owner in a seamless manner. At no point in the project was the facility without a fire alarm system. The Boston Fire Department found SIGNET’s approach to be complete and comprehensive thus, not requiring a fire watch. SIGNET’s ability to produce an effective work plan and manage its union electrical subcontractor contributed largely to the success of this project.